On the faithful who are true and profess their faith in you, In your sevenfold gift descend! Give us virtue’s sure reward, give us your salvation, Lord, Give us joys that never end! Intention: Lord in your mercy, send the Spirit upon our parish community to entrust Fr. Joseph to your providence and to embrace Fr. Tim as our new shepherd. Come Lord Jesus, send us your Spirit, renew the face of the Earth. Bend the stubborn heart and will, melt the frozen, warm the chill, guide the wayward home once more! Intention: Lord in your faith, send the Spirit upon our parish community to entrust Fr. Joseph to your providence and to embrace Fr. Tim as our new shepherd. Cleanse our soiled hearts of sin, arid souls refresh within, wounded lives to health restore. Intention: Lord, we live in wonder of your love; send the Spirit upon our parish community to entrust Fr. Joseph to your providence and to embrace Fr. Tim as our new shepherd. Left without you presence here, life itself would disappear, nothing thrives apart from you! Intention: Lord, see our reverence; send the Spirit upon our parish community to entrust Fr. Joseph to your providence and to embrace Fr. Tim as our new shepherd. Light most blessed, shine with grace in our hearts’ most secret place, fill your faithful through and through. Intention: Lord in your counsel, send the Spirit upon our parish community to entrust Fr. Joseph to your providence and to embrace Fr. Tim as our new shepherd. In our labour, rest most sweet, Pleasant coolness in the heat, Consolation in our woes. Intention: Lord grant us fortitude; send the Spirit upon our parish community to entrust Fr. Joseph to your providence and to embrace Fr. Tim as our new shepherd. Of consolers, wisest, best, and our souls’ most welcome guest, sweet refreshment, sweet repose. Intention: Lord increase our knowledge; send the Spirit upon our parish community to entrust Fr. Joseph to your providence and to embrace Fr. Tim as our new shepherd. Come O Father of the poor, Come, whose treasured gifts endure, Come our hearts’ unfailing light! Intention: Lord through your understanding, send the Spirit upon our parish community to entrust Fr. Joseph to your providence and to embrace Fr. Tim as our new shepherd. 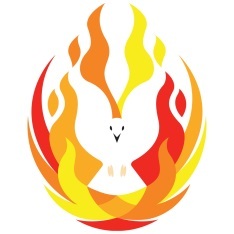 Holy Spirit, Lord divine, come from heights of heaven and shine; Come with blessed radiance bright! Intention: Lord in your wisdom, send the Spirit upon our parish community to entrust Fr. Joseph to your providence and to embrace Fr. Tim as our new shepherd.